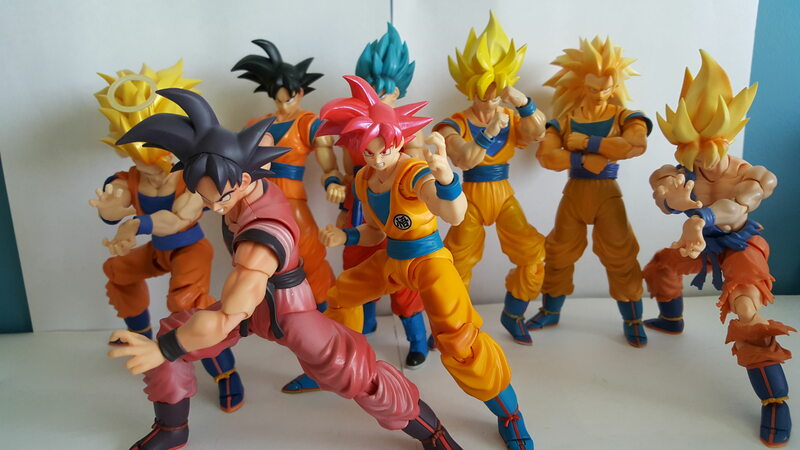 Here will be my thread for my Dragon Ball collection. I mainly collect S.H.Figuarts figures, though I do collect other lines (if Lorne Lanning, Oddworld creator, gives Tamashii the license to produce an Abe Figuarts, I'd preorder it within seconds), such as Funko Pops, NECA TF2, and a few others. I'll try and update you with an image of my collection as of the 29th of December. Also, happy new year everyone! 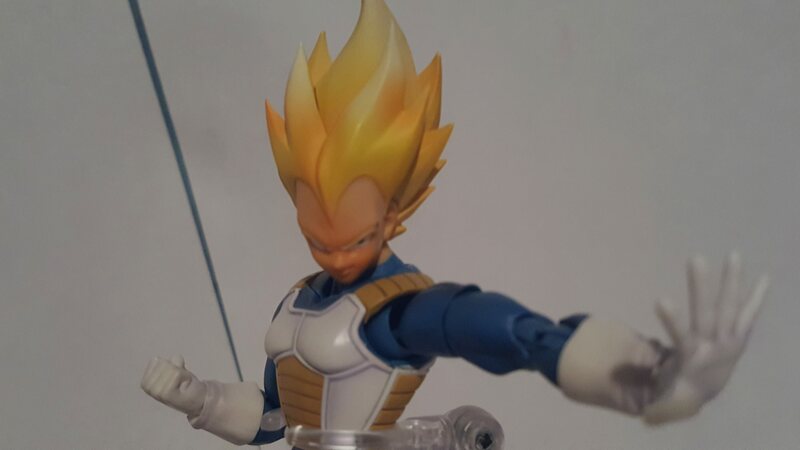 -Super Saiyan Son Goku Super Warrior Awakening Ver. And before anyone asks, no, that is not how I commonly display my figures. 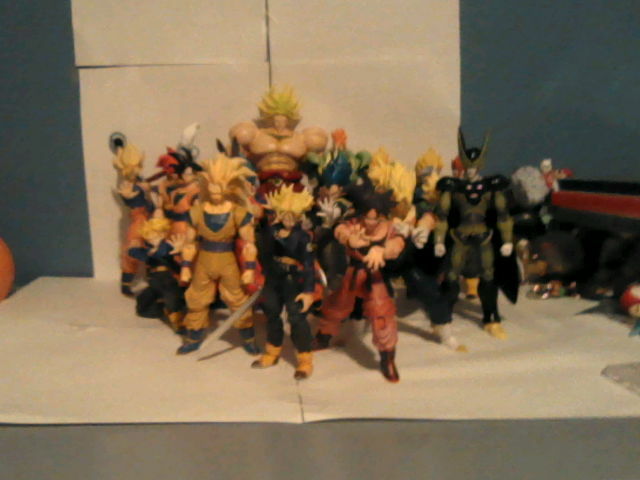 I put them on various shelves depending on the saga in which they're from. No, none of these are counterfeits. 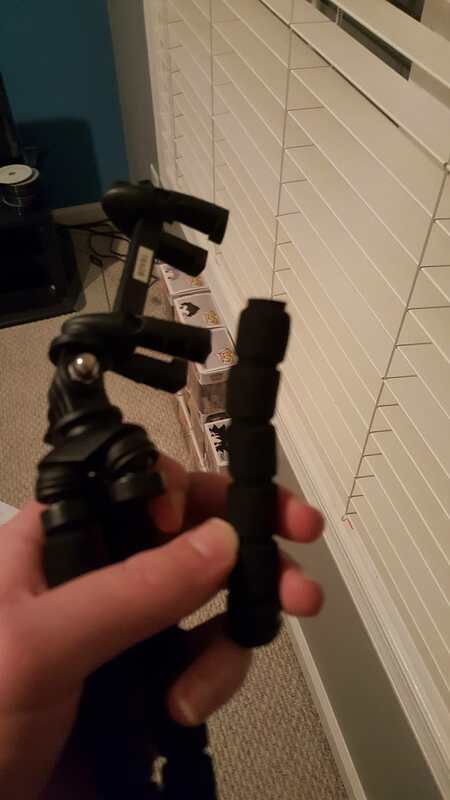 I always inspect for these things. 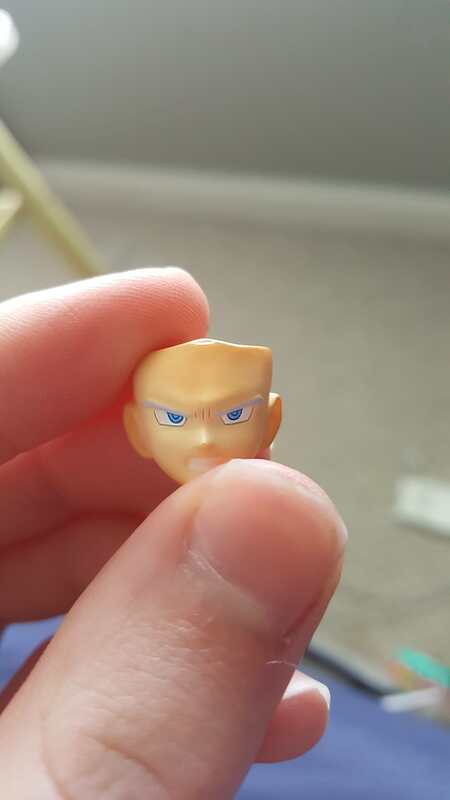 I also own Golden Freeza, just forgot add him to the list. 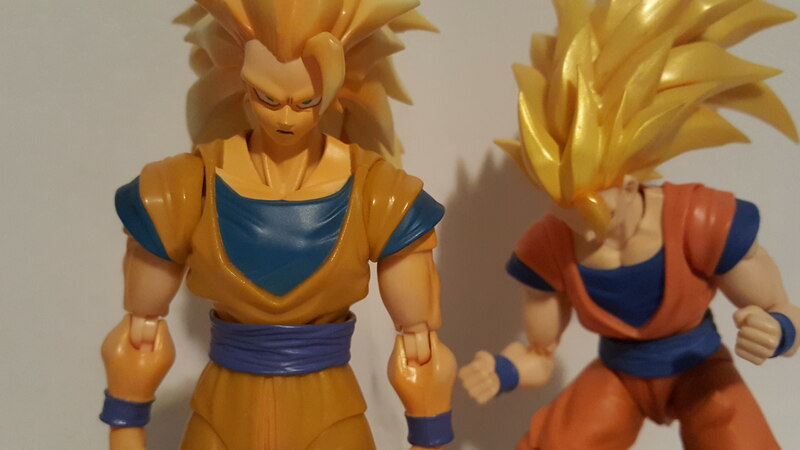 After four or five months, I F I N A L L Y fixed SS3 Goku's arms. So much better! How did you do it? Heated the tops up with a hair dryer, then gave them a little force, and waited about an hour or so (by watching Aqua Teen Hunger Force's movie) and they were fully functional again. Yes, I know an hour's a little bit much, but I did it to make sure they'd be tight enough to stay on. Quick update: A new challenger (that I bought on eBay) is approaching! 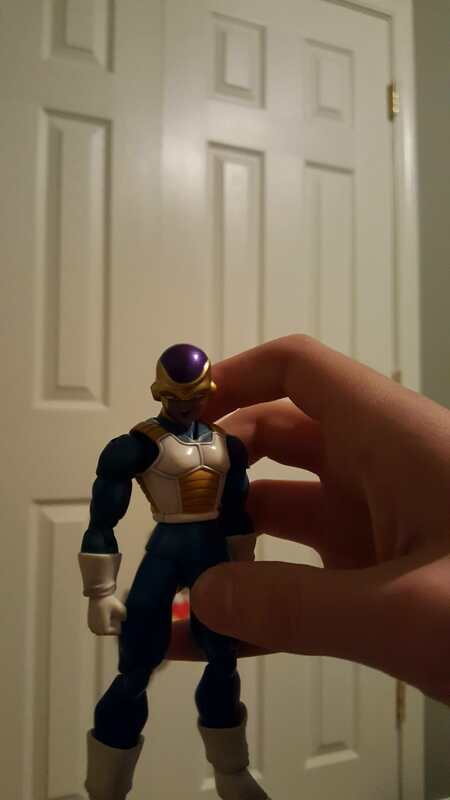 No, much like I did with SS3 Goku, I'm not saying anything about who it is. 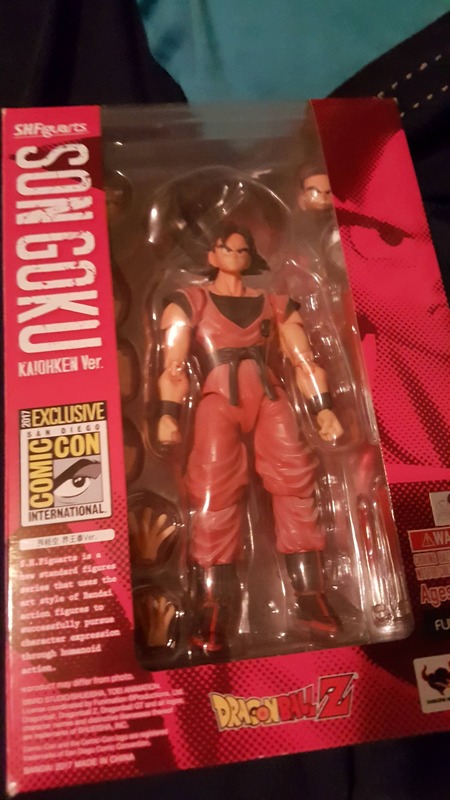 No, 2.0 Goku isn't the new arrival, had him since January. Just thought this was a comedic scenario. "What's the matter, breh? Too scared to hit me? Come on! Come at me bruh!" "Was that enough for you to shut up?" "HERE IT COMES! 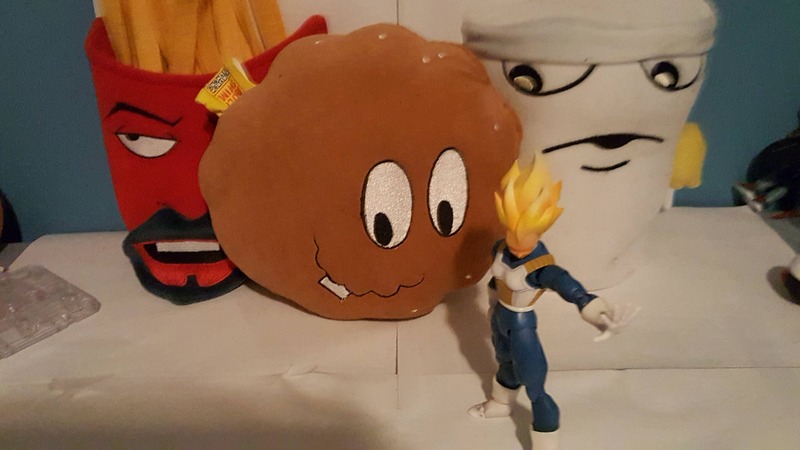 A special going-away present just for you, Vegeta's Big Bang Attack!" Bejita-sama with some other stuff I got in the past month's haul. Yes, I know what you're thinking, but please. One, we all know Vegetable man is the one everyone besides me cares about, two I like Aqua Teen Hunger Force, so I bought those. 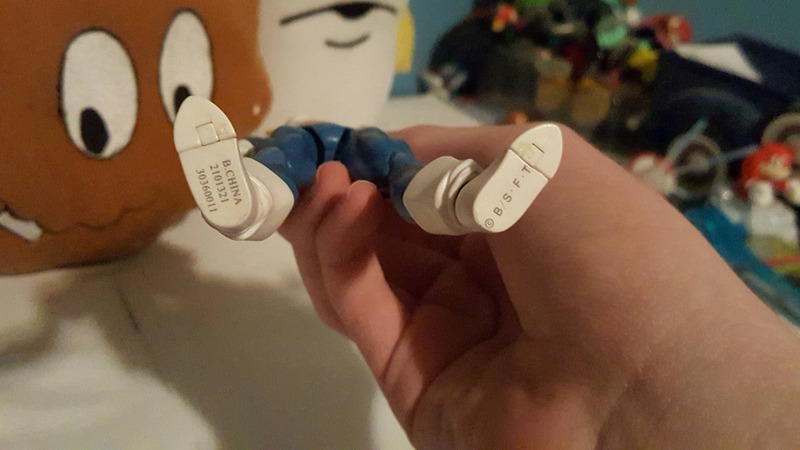 Please don't kill me for posting a picture of plushes (rare ones at that) on a figure-based forum. 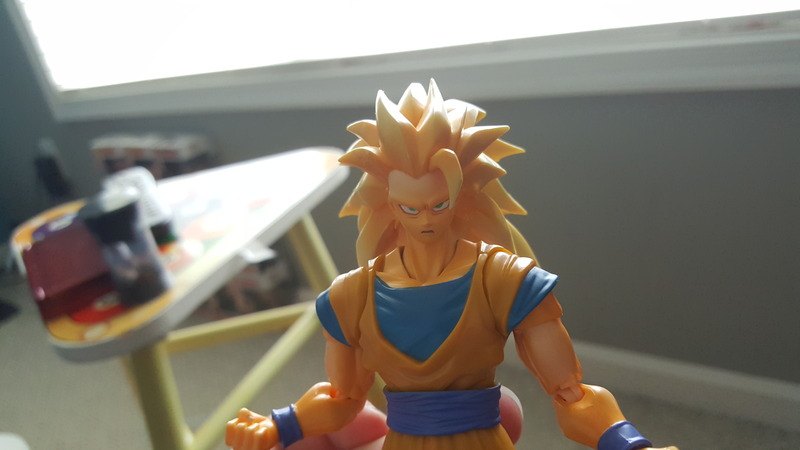 In the midst of me trying to fix SS3, I also made an arguably regrettable choice by purchasing 2.0 SS3 Goku. Loose joints, inaccurate paint, bad faces, and is a pain to stand up. 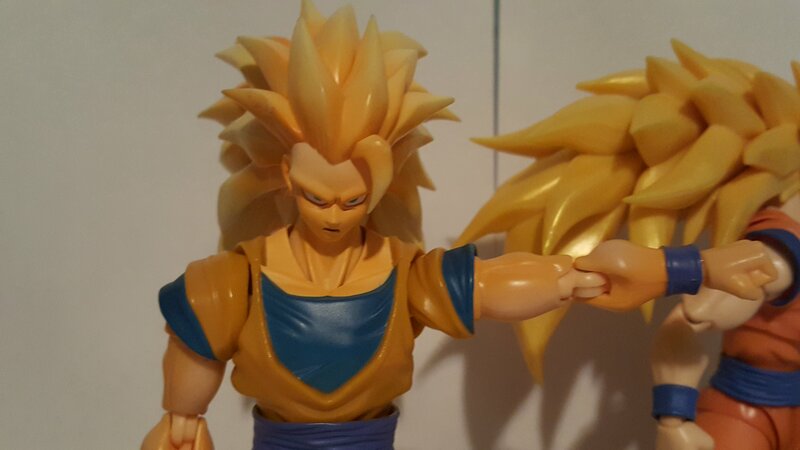 See Goku's SS3 transformation for further context as to why I believe the paint is wrong (or any moment in the Buu saga/ movies 12 & 13). I think I picked the wrong hood. 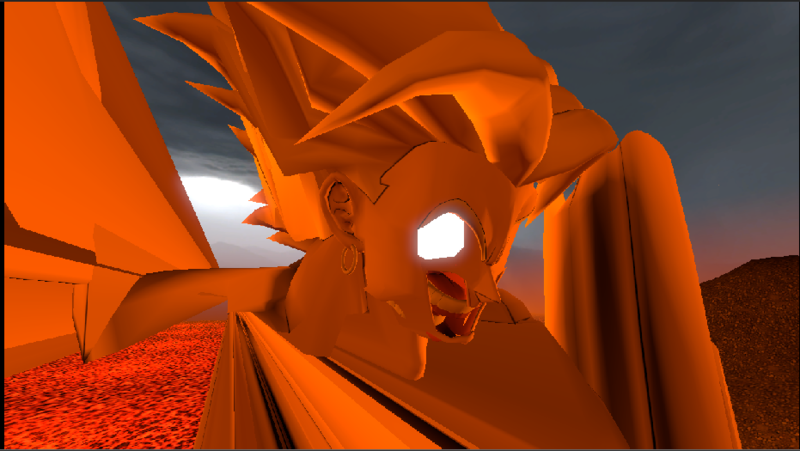 To add on to what I said earlier about 2.0 Goku, he's not inaccurate to DB as a whole, just DBZ up until Battle of Gods. I just know that there'll be a day, potentially years from now, where I'll be scrolling through eBay to see that this guy'll soar through the roof as far as price goes. Already at $200. And no, I'm not selling this guy. I'm glad I sniped him at $115. 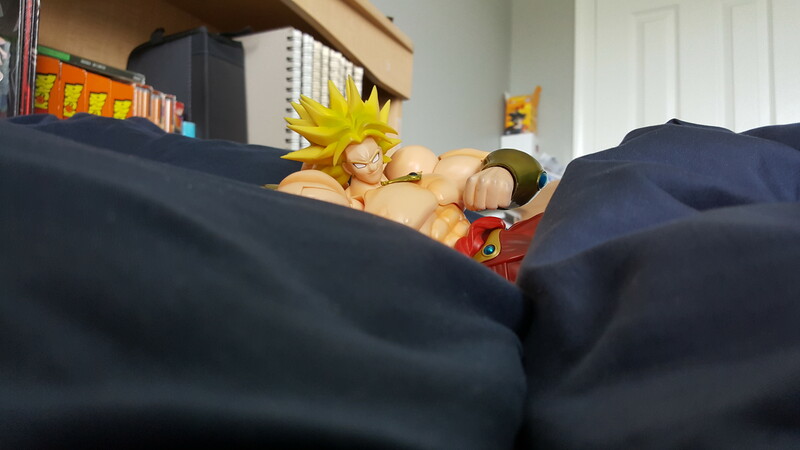 Also, this happened when I went to take Broly and SS3 Goku out of their poses for that one shot I did in the Check this out Figuarts thread. Better yet, my Xbox 360 died today as well. 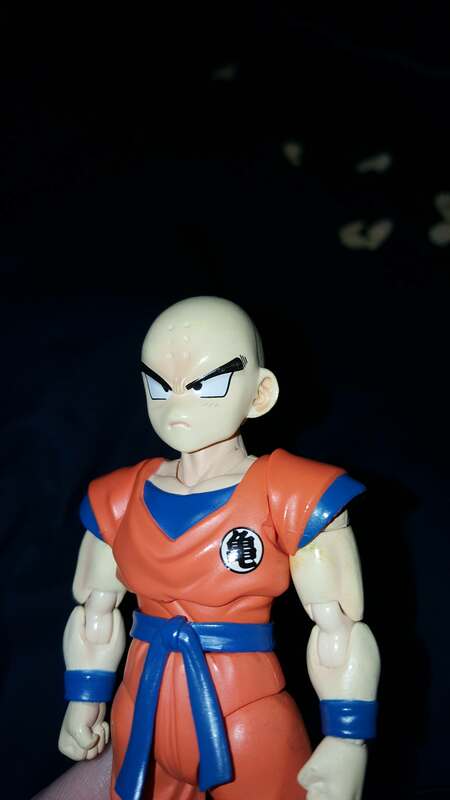 So, while I was listening to A Gringo Like Me, I decided to touch up my Krillin's eyebrows (because mine had its paint chip there), so I took an ink pen and filled in where the paint came off. I think I did a decent enough job. 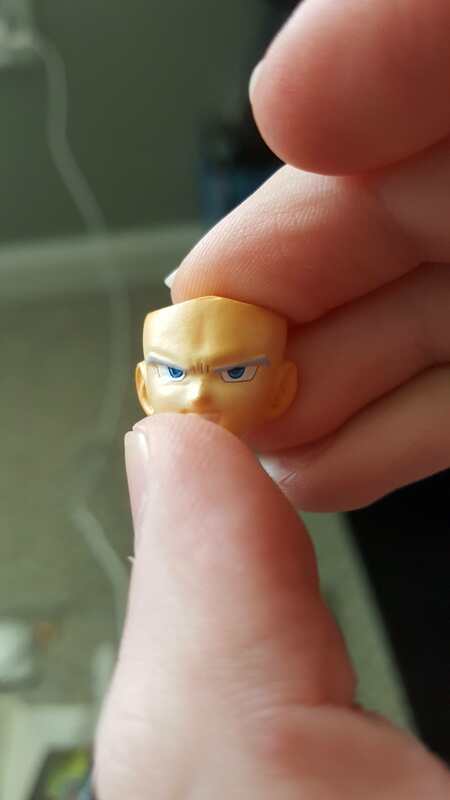 I did this to the other faces where he was missing paint. 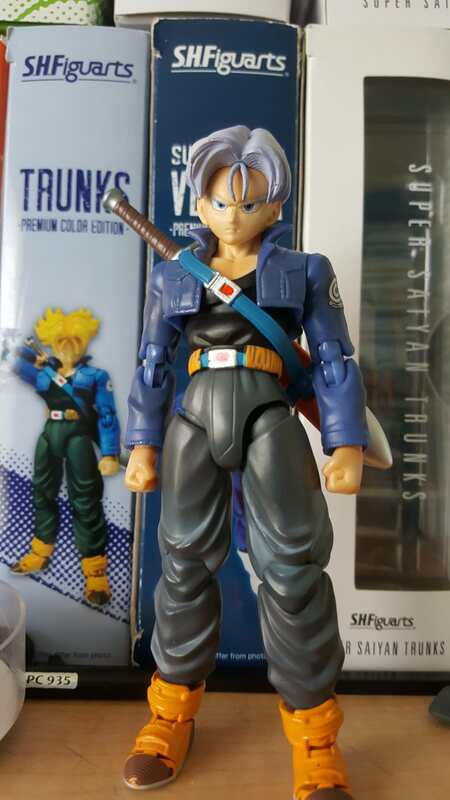 Not sure if I want to color Trunks's pupils in, though. Probably not gonna do it because I could screw A LOT up. Yep. I'm questioning my sanity. Since there's a new Broly movie, I figured I'd create this.